It's not food, it's BIOTIC FOOD! BioticFoods was founded from a passion for research into the beneficial effects of bacteria with probiotic properties and to promote a healthy lifestyle and nutrition based solely on natural ingredients. 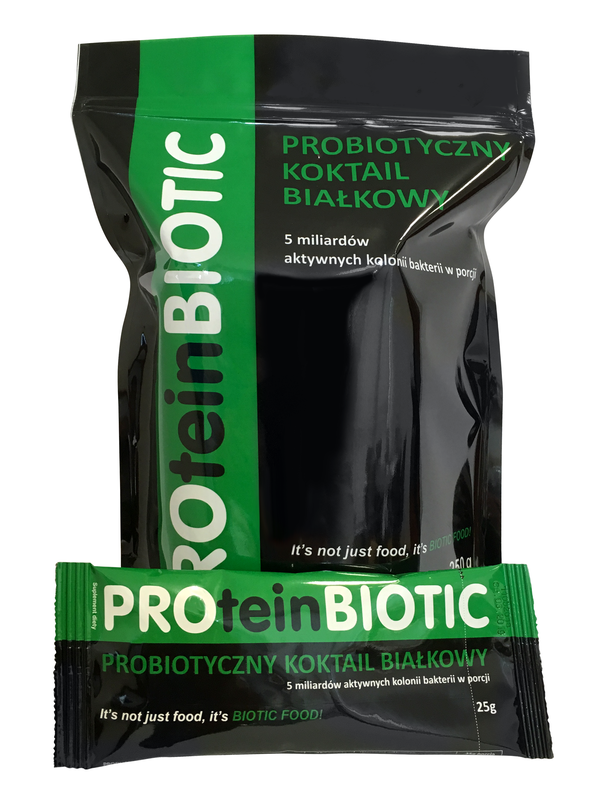 Firma BioticFoods powstała z pasji do badań nad dobroczynnym działaniem bakterii o właściwościach probiotycznych oraz do promowania zdrowego trybu życia i odżywiania opartego wyłącznie na naturalnych składnikach. The know-how used at BioticFoods is based on many years of experience of its founders. The strains of bacteria with probiotic properties used in the products are unique strains. Uniqueness was confirmed by patent applications to the Polish Patent Office, European Patent Office and the US Patent Office. BioticFoods cooperates with the Polish Academy of Sciences and Medical Universities in the development of products and their effectiveness research. Probiotic microorganisms include primarily Lactobacillus and Bifidobacterium, but also many other. However, only selected, strictly defined strains from a given species are characterized by healthy properties confirmed by clinical studies. Not all lactic acid bacteria used in the production are probiotics, because not all strains cause the same effect in the human body. Probiotic properties of bacteria are characteristics of a particular strain (biotype) of a species. Preferred properties are inherently dependent, ie, appropriate for one selected strain of bacteria. PROteinBIOTIC - Probiotic Protein Cocktail. First in Poland supplement developed in cooperation with the Polish Academy of Sciences. The only product available on the market combining high quality protein concentrate with bacteria with probiotic properties. A very high concentration of probiotic bacteria per gram of the product - over 200 million colony-forming units, in a portion of more than 5 billion colony-forming units. whey protein concentrate (from milk).